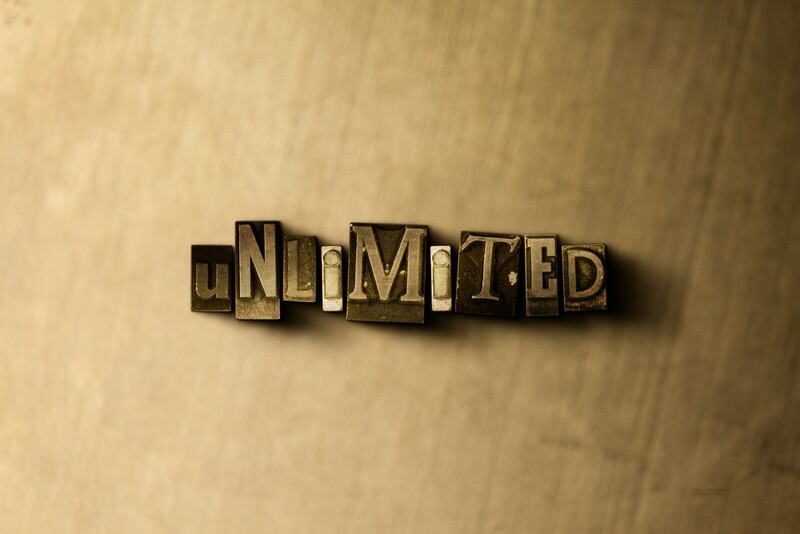 Following the introduction and absolute massive popularity of streaming services such as Netflix, Stan, Apple Music, Spotify and Foxtel Play, there has been no time like now in which unlimited internet plans are more needed than ever. Bu whare are the best unlimited plans for you? Whether you are part of a family that watches movies together in the evenings, or someone who is addicted to your headphones and are cranking out the tunes all day long, it seems like everyone is now part of the streaming culture - from children to grandparents, no one seems to be able to get enough of their favourite shows or music. According to recent research, it is said that the average Australian internet use per person is 22.4 hours a week - almost an entire day of non-stop internet usage! Imagine that! On top of that, surveys have shown that each of us owns a staggering 7.9 internet-capable devices on average, and 20% of Australian homes have more than 3 users on the internet at the same time every night. Slightly more than half of us have watched our favourite movies and TV shows on the internet, and total data downloaded in Australia has close to doubled in the past few years. If these statistics are not enough to prove how much we are in need of unlimited data on our internet plans, I don’t know what is. Amongst all the entertainment obsession, the last thing that anyone needs is to worry about going over their monthly limit and being slapped with an exorbitant bill at the end of the month, so in order to prevent this from happening, we will be looking into three of the best unlimited broadband plans that are on offer at the moment. Avoid an end of a month headache with these plans, and ensure that your family can enjoy as much streaming as they want each month. TPG offers users with three of their unlimited plans (NBN Fibre Basic Liimitless, NBN Fibre Boost Liimitless and NBN Fixed Wireless Boost Liimitless) that will cost you $59.99, $69.99 and $79.99 per month respectively. In terms of unlimited broadband that can be shared between housemates and families, these plans are highly affordable for what you get out of them. Additionally, TPG offers Boost and Superfast plans for internet addicts who really want to gift themselves with powerful upload and download speeds - also ideal for streaming movies and TV shows. All plans, Standard, Boost or Superfast, are are available with no lock-in contracts, or as part of an 18 month deal. All of MATE Communicate’s plans come with unlimited data - how fantastic is that? What’s great is that all these unlimited plans are available to people at differing price points, For just $59 a month, you can purchase unlimited data with Mate at a the industry average Tier 1 speeds of12Mbps. Upgrades to your speed are also available with added costs - 25Mbps for $69, 50Mbps for $89 and 100Mbps for $99. Furthermore, Mate’s plans are lock in contract free and do not cost you any activation fees, so that you can keep your expenses to a minimal. Last but not least, we have Belong. Belong offers users with unlimited data plans at on a Tier 1 connection, for just between $65 - $70 a month, depending on whether you are signed up to a lock-in contract or a month-to-month subscriptions. If a Tier 1 speed connection doesn’t satisfy you, you have the option upgrading your Belong Broadband plans to Tier 2 or Tier 5 speeds for an additional $10 or $30 respectively. So, there you have it! 3 of the best Unlimited Internet Plans that will provide you with all the data you need without breaking the bank as well. Have more questions? Don’t hesitate to contact us today!